On Friday November 30th HMS students, Mark Zimmerman, Emily Ferguson, Liv Powell, and Noah Holden, attended the Choose To Include Youth Summit in Portland. This opportunity is hosted by Maine Special Olympics and encourages students with and without intellectual disabilities to work together to become "Game Changers" in their school communities. 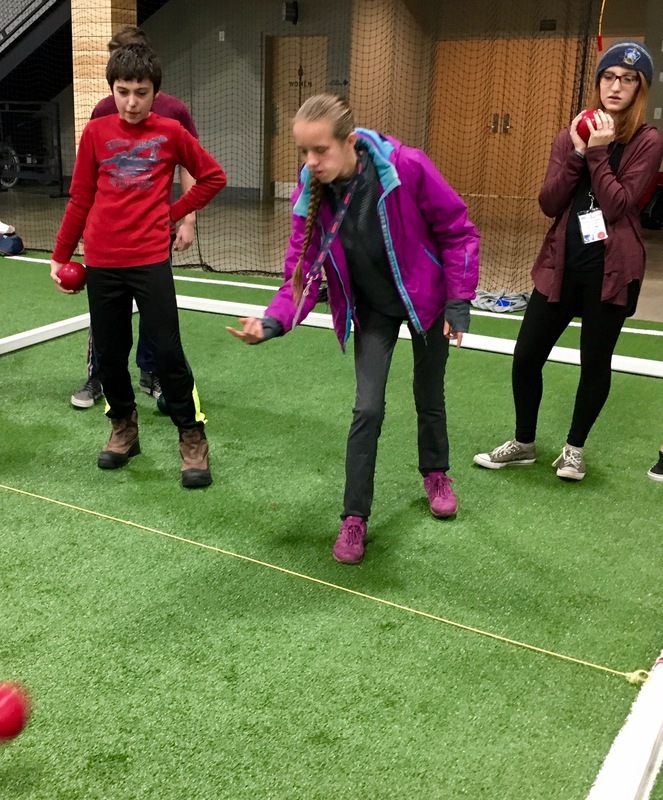 The event provided professional development opportunities to students and school liaisons in Unified Sports, Inclusive Youth Leadership and Whole School Engagement. It was an opportunity to share best practices and network with other schools across the state. Our students represented HMS and Yarmouth with pride and commitment to this cause! Our thanks to Mark, Emily, Liv and Noah for their investment in this exciting and essential work, and to Nancy Riggs and Mikaela Gillis for their guidance and support of these students and this program! Special Olympics Maine is excited to announce it will host its Unified Champion Schools #ChooseToInclude Youth Summit on Friday November 30th from 9am-2pm at The Point Community Center in South Portland and your school is invited! The #ChooseToIncludeYouth Summit is designed for students with and without disabilities to come together to learn how Unified Champion Schools can positively change their entire school climate. This event will provide professional development opportunities to students and liaison in Unified Sport, Inclusive Youth Leadership and Whole School Engagement as well as networking and sharing best practices with other schools across the state.